Imagine sitting in a hospital room holding your 14-year-old son’s hand. You listen to his heart rate become one constant sound of flat line. His hand becomes cold, and his face turns a ghastly ash color. You see the life force slowly leaving his body. The boy you raised and loved for 14 years now lives in your memory. You are left confused, frustrated and heart-wrenched as to why your son chose suicide. 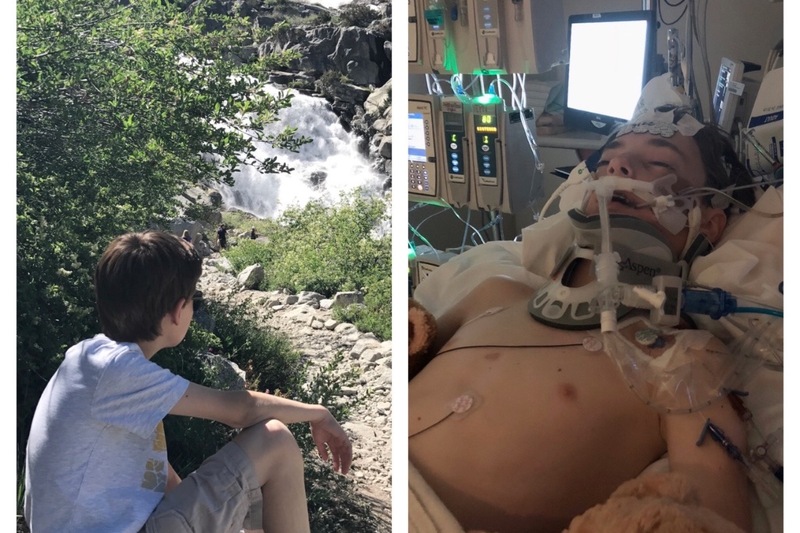 Depression took my 14-year-old son on March 26, 2018 - The same disease that tempts over 500,000 teens a year into believing suicide is the only relief from their pain. And it’s this disease that is becoming the silent killer to 5,000 teens per year. What happened to my family is happening to families all across the world. After my son Ryan’s death, I went through his drawers and found one completely empty, except for two sticky notes that read: “Passwords,” and “tell my story.” My goal is to do just that. “Tell My Story,” is a documentary film with a mission to radically change and revolutionize the way we see mental health. It is a film that will take viewers on a journey to understand the deeper aspects of depression and its impact on today’s youth. It is a film that will transform the way we approach suicide prevention. 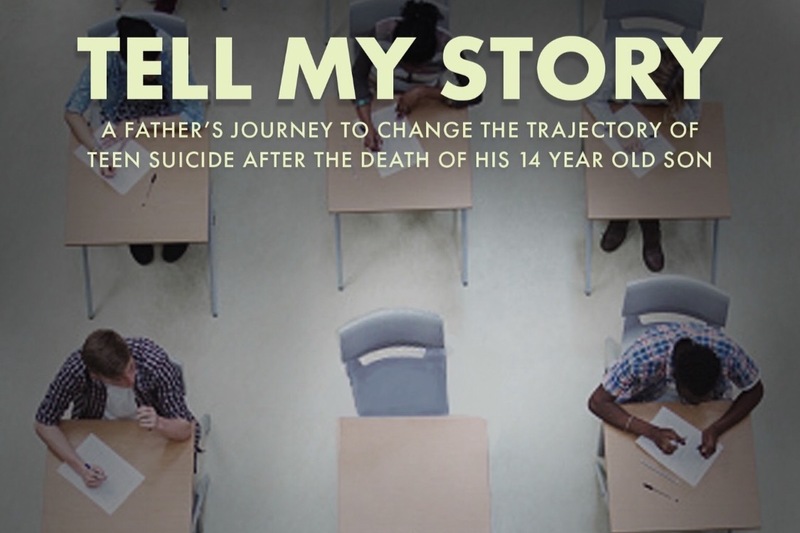 “Tell My Story” will be a path forward for parents, educators, and the next generation of leaders about how we deal with the rising problem of depression and suicide. In order to make this happen in the best way possible, I’ve teamed up with Philippe Diaz, of Cinema Libre Studio, to make this film. Instead of pulling away from the difficult- and heavily stigmatized- conversation around mental health, Philippe and I are pushing it forward. We are asking the hard questions. 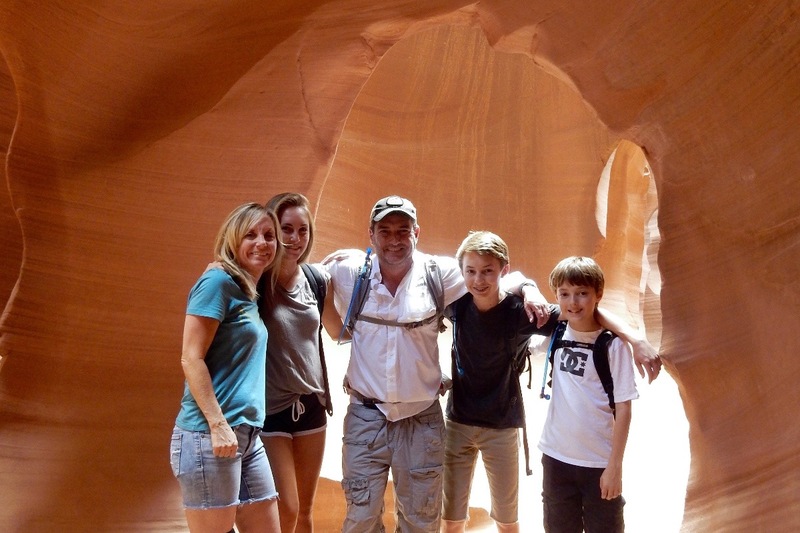 When it comes to the physical health of your child, as parents, we take extreme ownership of that. But when it comes to our kids mental health, we don’t. Why is that? We need to change that. And that’s exactly what we plan to accomplish with your support. The reason to turn to crowdfunding for this film is simple: this is much more than a movie. It’s a conversation. It’s a mission. And it needs to become a movement. I want you to get involved at the ground floor of a piece of media that will serve as a catalyst for change and cultural transformation. And above all: help save lives. Because the truth is, no parent should have to experience the tragedy that is suicide. And yet, every single day, it is happening all across our world. Since 2006, suicide in young people has increased more than 70%. It has become the number one cause of death for teens and young adults in North America. We aren’t doing enough to change this, and we have a responsibility to do something about it.“Tell My Story” will be a beacon of hope, a light post of the many lives lost, the many stories left untold. Every day, we lose bright, beautiful young people because they are struggling alone. They feel scared, confused, and ashamed. And as parents, we aren’t doing enough. As a culture, we aren’t doing enough. It’s time to change that. I don’t want this to be about me - this isn’t about me. But it’s something that happened to me. And I don’t want it to happen to you, or anyone you love. Someone has to talk about this. Someone has to have these conversations. And I hope you will join me in changing and saving lives. 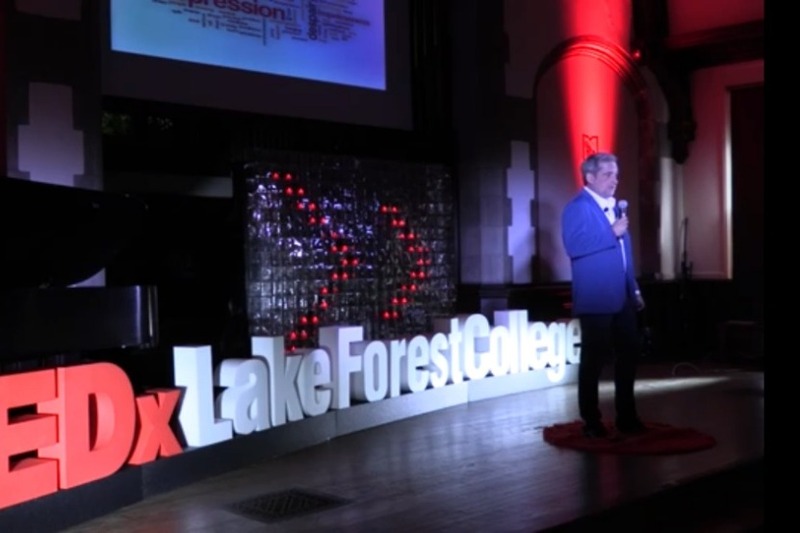 In the wake of my 14 year old son's death, I gave a TEDx Talk about the most important conversation a parent can have with their child. Please watch the TEDx Talk here. To reach parents across America and ignite a movement, Jason has teamed up with Philippe Diaz, Founder and CEO of Cinema Libre Studio, to create TELL MY STORY: a full length documentary that will radically shift the conversation in our culture about youth mental health and suicide prevention. Philippe Diaz, known as one of ten “Moviemakers Making a Difference” by Movie Maker magazine, is determined to create an impactful film with Jason, that will not only touch many lives, but change many lives. Cinema Libre Studio has released 200 films in just 14 years of business. Diaz and Reid are determined to reach many with Tell My Story. 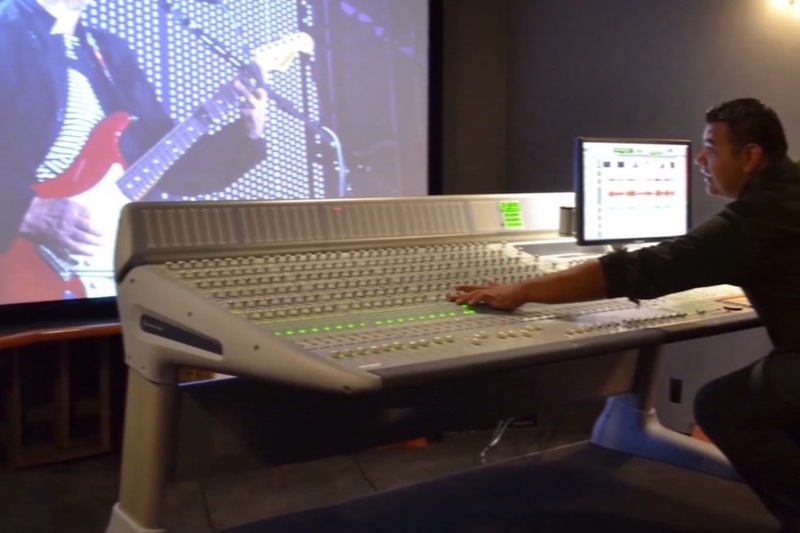 Click here to watch Cinema Libre Studio's Introduction Video. - LA WEEKLY: Who is Going to Save Our Kids from Depression? - IRVINE WEEKLY: Who is Going to Save Our Kids? Or please contact our campaign manager, Taylor, at tellmystorydoc@gmail.com and provide us with a photograph of your donation receipt. Thank you! We look forward to including you to be apart of our campaign. Please know that if you are unable to give financially, sharing this with someone would be greatly appreciated. $50 - All of the above plus — Inside access updates to how the movie is progressing - This is not the normal newsletter. $75 - All of the above plus a pdf of the Tell My Story Script. $100 — All of the above plus a cool Chooselife.orgt-shirt that will not be on sale later. This one is only for Donors. $250- All of the above plus a full size Tell My Story movie poster. $ 350- All of the above plus access to monthly conference calls where you can hear directly from the film makers as to the progress of the film. The true insiders look. $500 — All of the above plus a copy of the Tell My Story coffee table book which walks you through the movie - Signed by the Director and Producers. $1000 -All of the above and early access. — Get access to the film a full 30 days prior to the rest of the world. $2500 — All of the above plus you will see early cuts of footage - 4 times during the film in process and have a chance to give us your feedback. $5000 -Limited quantities All of the above plus VIP access to either the east coast or west coast red carpet premier -including a special donor dinner. $10000- Limited quantities - All the above plus associate producer credit. $20 000 — Limited quantities ``All of the above plus Jason will come to speak at your event. $30 000- Limited quantities - All of the above plus while speaking at your event you will have an advance screening of the movie for your group. By either leaving your contact information in the comment of your donation, or contacting Taylor at tellmystorydoc@gmail.com and providing us with a photograph of your donation receipt to further exchange contact information. Where is the funding going? Funding from this campaign will be used towards the documentary, "Tell My Story" film. $175,000 will be used for pre-production costs. More funding is needed to complete this film with marketing. This is a great starting point and everything is appreciated. We will be using the donations received to fund our documentary film. Withdrawal plan is to withdraw funds as soon as we receive them to finance our film. We are hoping to have the film released by Spring 2020. How can I become further involved in Choose Life? By visiting our website at www.chooselife.org, you can find more information. The campaign has been live for one week and I just want to say a huge thank you for supporting this mission. As you can imagine, there are a lot of pieces to the puzzle of funding this film, getting my TEDx talk out to as many parents as possible, and making the radical mental health change our society needs. It has been a rollercoaster, and having your support means the world. We had a good first week to the campaign, raising over $20,000 and being featured by LA Weekly and Irvine Weekly. I’ve also been emailing parents, administrators, principals, and teachers around the US about my TEDx talk and the film. I was shocked and extremely disappointed that some school districts, like Murrieta Valley (where Ryan went), would not share it. There have been 3 suicides in the district within the last year, and yet they are doing almost nothing different. It shows me that the “Tell My Story” film is needed now more than ever. Schools and parents are not taking the measures needed to protect our kids. We need radical change. And you are playing a big part of that change through supporting this campaign. Share this campaign with your friends, your children’s school district and teachers, and on your personal social media. Any donation, whether $10 or $1000, will go a long way. The more people we can get behind this mission, the better. Do you know any bloggers, writers, or media who can do a story on the campaign, TEDx talk, or the issue of teen suicide as a whole? Connecting them with me and my team would be so appreciated (email Jason@ChooseLife.org). We are committed to doing whatever it takes to reach as many people as possible. How and why did my TEDx talk and campaign resonate with you? What do you think needs to be done? What do other parents need to know? Thanks again for all of your support. We are at the beginning of a long journey, and it truly takes a village to accomplish this film. I will keep you updated with progress.